Skin Cancer Drug Gets Quick Approval : Shots - Health News The drug was approved faster than many other drugs under review, and advocates of personalized medicine say this bodes well for other gene-based drugs in development. 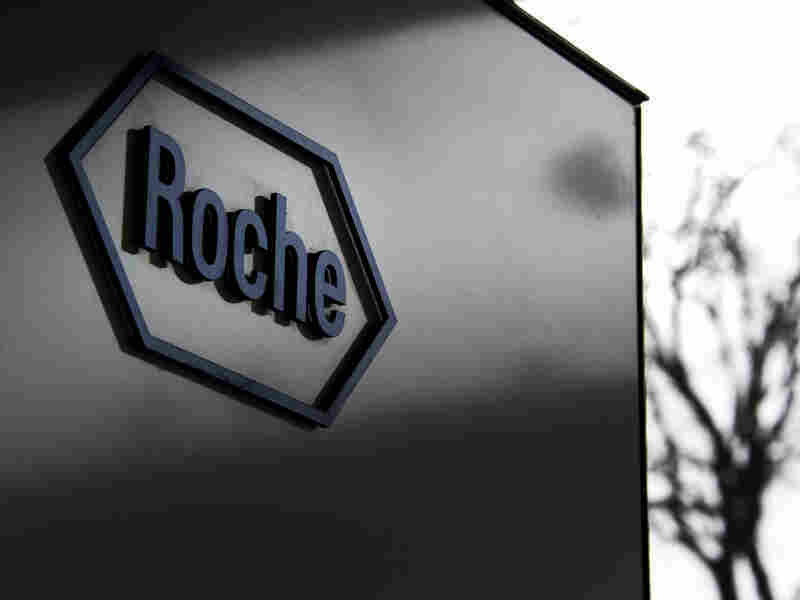 Roche Genentech developed a new melanoma drug for people with advanced cases. The Food and Drug Administration has approved a new drug to treat advanced melanoma, the deadliest form of skin cancer. The drug got the green light faster than many other drugs under review, and advocates of personalized medicine say this bodes well for other gene-based drugs in development. When study results for the new drug were released earlier this summer in the New England Journal of Medicine, experts called it a game-changer for people with melanoma that has metastasized or can't be operated on. And that's most cases — except when it's caught early, melanoma is invariably fatal. The new pill, made by Roche Genentech and called Zelboraf, doesn't cure melanoma. But it can stop the cancer's growth for months and is expected to prolong patients' lives. The way it works is by blocking a gene mutation that promotes uncontrolled growth of cancer cells. About half of melanoma patients have the mutation. The FDA has also approved a test that identifies who they are. And Zelboraf isn't the only new addition to the arsenal against melanoma. Earlier this year, the FDA approved Yervoy, made by Bristol-Myers Squibb. It also prolongs survival in patients with advanced cases. Plans are underway to test the two drugs together. "This has been an important year for patients with late-stage melanoma," Dr. Richard Pazdur, director of the FDA's office of oncology drug products, said in a press release on Wednesday. According to K. Peter Hirth, chief executive officer of Plexxikon — a company that helped Roche develop the drug --Zelboraf is an example of gene-based personalized medicine that can be developed faster than other drugs. The molecule in Zelboraf was discovered in 2005, and brought to market less than six years later. It's expected to cost around $60,000 for a six-month course of treatment. Patients should be able to get it within a couple of weeks.